Since unravelling the century-old secret behind an eerie ghost town in rural Washington State, life has been anything but ordinary for 13-year-old Anne. Now, she and her companion Grace, find themselves tangled between two worlds—that of the Fae creatures, whose bloodlust for human hosts has led them to empty entire cities of their children, and the familiar world they've always known. But these two worlds have begun to bleed together, and Anne finds her family, her friends, and her very life in peril. There is no more running, nowhere else to hide. Anne and Grace must fight. 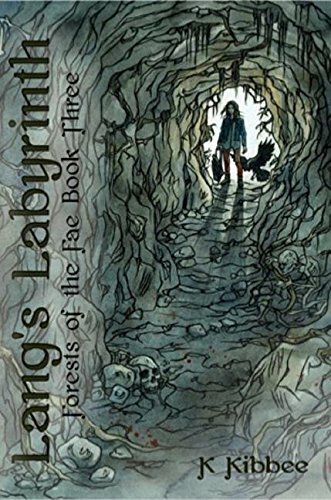 They must find a way to defeat the Fae, or risk losing everything—and tangled deep inside the intricate web of Lang’s Labyrinth lies the key. Anne’s quest to collect the twelve original books, for which the Forests of the Fae were named, will lead both she and Grace down a path of switchbacks, deceit, magic, dark figures, and shady places. They’ll uncover the network of wicked Fae creatures hiding amongst us, and their calculated attempts to lure children to the other side. And, unless Anne can decipher the trail of clues left behind by the devilish Fae King and untangle the spell within the Labyrinth before the creatures do, she and Grace will lose everything—including their humanity. I stopped reading after Chapter 3 but not because I didn't want to but because after reading the synopsis of Book 1 and Book 2 included in this book I decided I really wanted to read those before I went any further. The premise is great and the book is well written. I love what I read so far but don't want to spoil the ending of the series for myself before reading the first two books.